Did you ever think that Michael Myers looked oddly like William Shatner? You're not wrong. Who thought it would be great to carve a pumpkin? What's the deal with bobbing for apples? How does Star Trek tie into Halloween? Read more for the answers to these and other mysteries below! October 30 is National Candy Corn Day. Yes, you read that right. There are literally billions of pieces of this pure sugar rush produced each year. It dates back to the 1880s, and many of us have downed a stale-tasting handful wondering if we just ate the first batch that came off the line. As comedian Lewis Black once joked, "Candy corn is the only candy in the history of America that’s never been advertised. And there’s a reason — all of the candy corn that was ever made was made in 1911." But why is it called "candy corn"? It doesn’t look like corn. It doesn’t taste like corn. But it is in fact, made of corn … corn syrup that is. Back in the early days, it was made from a mix of sugar, corn syrup, marshmallow, and more, then hand poured into cornstarch trays. It was actually first called "chicken feed" because you feed corn to chickens. Irish immigrants brought the grand old tradition of carving things into vegetables over to America. The practice was originally done with turnips to ward off evil spirits. Once the ever-orange pumpkin was discovered to be easier to carve and cheaper, they became one of the biggest parts of Halloween. 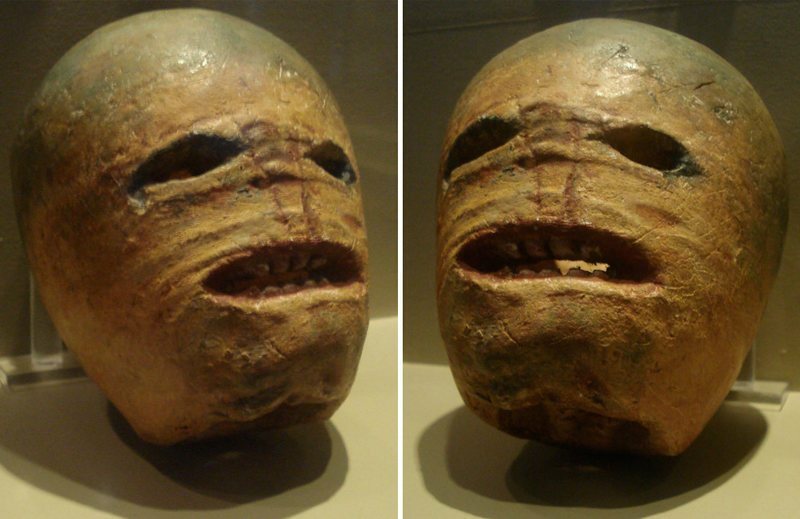 Carving turnips was also tied to the legend of Stingy Jack, a man who tricked the devil one too many times. When he died, he was neither welcome in heaven or in hell and was sent off into the night with only a burning coal to guide him. He carved a turnip, added the ember, and is said to roam the Earth for eternity. I don’t know what’s scarier, the carved turnips below or pumpkin lattes. I always had a feeling Shatner was evil incarnate. The original Halloween movie had such a low budget, the wardrobe department had to go on the super cheap to create the famous serial killer's look. The cheapest thing they could find? A $2 William Shatner mask. They simply spray painted it white, reshaped the eyeholes, and voila! Michael Myers was born. The movie also grossed more money than most movies Shatner starred in. Every wonder why we costume up our kids and make them go begging and threatening pranks if people don’t pony up the good stuff? The tradition itself goes back the Middle Ages and Samhain. 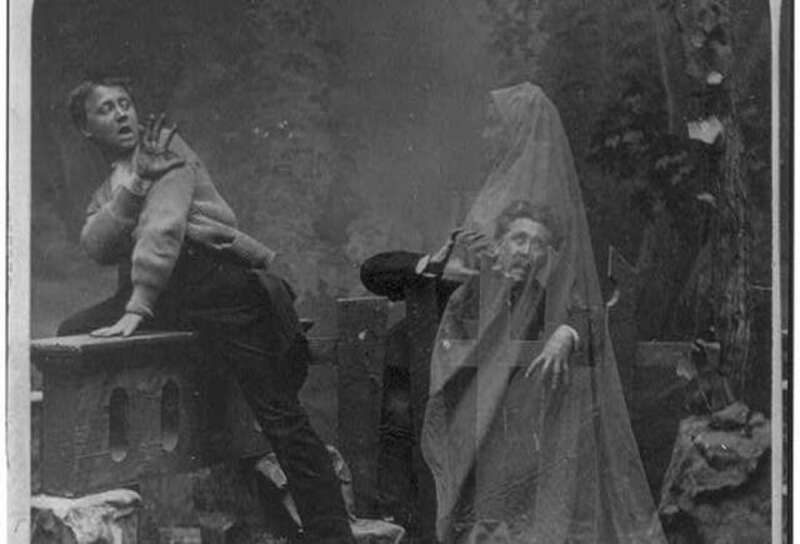 People believed ghosts roamed the earth the night of Samhain, so people dressed up as spirits to fool the otherworldly wanderers. When the festival was enveloped by church rituals, the act of "guising" was replaced by "souling," in which children and beggars would go door to door and ask for food and money in exchange for prayers, songs, and more. But, the first reference to "Trick-or-Treating" was printed in the November 4, 1927, edition of the Blackie, Alberta Canada Herald. If only they'd have guised and souled to fool the roaming spirits! Courtesy of Mentalfloss.com. Bob for apples, marry Bob? Who knew a simple apple is all you need to tell the future. The tradition of bobbing for apples dates back to the Romans merging their traditions with traditional Celtic festivals. When they invaded Britain, the Romans brought with them apple trees, a representation of the goddess of plenty, Pomona. According to legend, young unmarried people would try to bite into an apple floating in water or hanging from a string. The first to accomplish the feat apple would be the next one to be allowed to marry. The rest just got water up their noses for their trouble, I suppose. Girls who placed the apple they bobbed under their pillows were said to dream of their future lover. This isn’t the only divination ritual popular on Halloween. In a time apparently obsessed with marriage, folklore says that a young unmarried person who walks down the stairs backward at midnight while holding a mirror will see the face of their next love reflecting back at them ... either that, or the rapidly approaching floor during the tumble to the bottom of the staircase. What do you think? 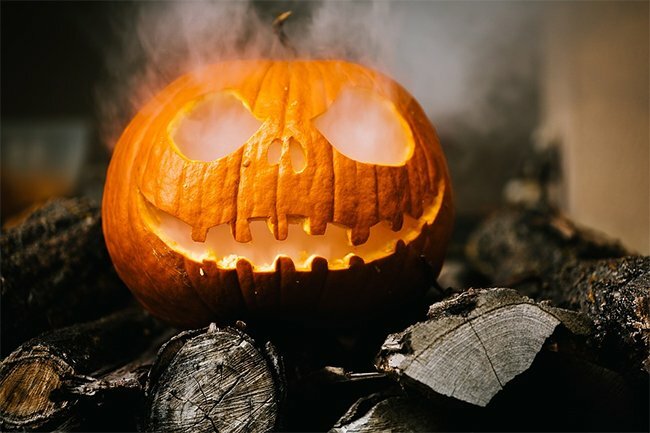 Which of the above Halloween facts were you the most surprised about? Let us know in the comments below. Happy Halloween!